Known as Portfol™, this sophisticated system has been used to successfully manage over $7 billion of our own loan activity and has since been adopted by other lenders. Portfol™ is a fully integrated, multi-user system that tracks activities from the initial call through the lending approval process, and ultimately the servicing of the loan. 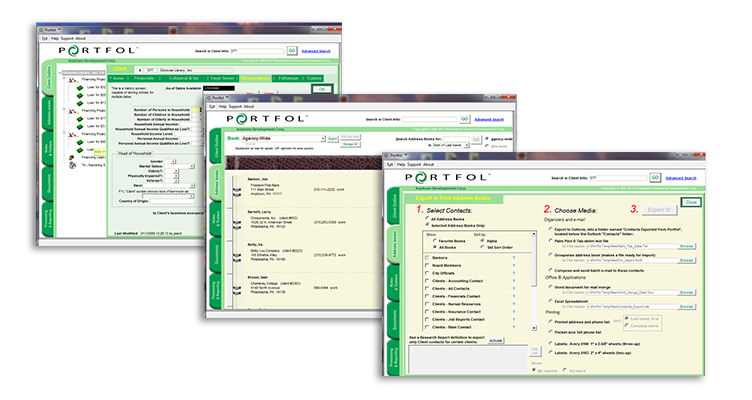 Today, more than 200 agencies have streamlined their loan process with the only software program created, used and maintained by an economic developer: Portfol™.